TICKET GIVEAWAY! 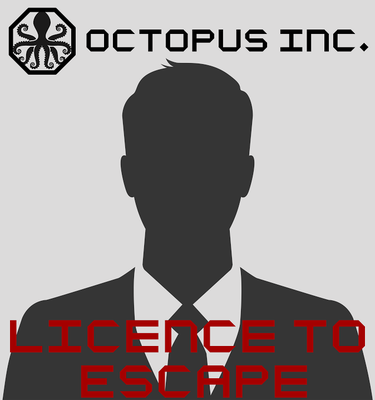 License to Escape with Octopus Inc! Need something exciting to do for the weekend? Highball Hoodoo has just the exercise in villainy for you! Working alongside Yelp! London, Highball Hoodoo has TWO tickets to giveaway for 16th October! OCTOPUS Inc. (the Organised Consortium of Troublemakers and Other Perpetrators of Underhand Sneakiness Incorporated) are currently hiring new henchmen as part of a recruitment drive – and are looking for the best of the best – or should we say the worst of the worst – to join our team and cause chaos throughout the land. Your acts of sneakiness have been noted and we are impressed with your audacity and cunning, but do not worry my villainous friends, your secrets are safe with us as long as you report to your prospective new Evil MasterMind in his underground lair for your six basic aptitude tests. Six Rooms – Six Tests – You must escape them all to complete the mission within 30 minutes. There will also be an optional outdoor mission courtesy of CITY DASH should you wish to accept. Can you make it out in time? Or alive? We shall see. Ultimate Respect and Prizes in store for the fastest teams of the night. And the winner will be announced on the 15th of October! And that’s all you have to do for a chance to win VIP tickets to Octopus Inc.’s LICENSE TO ESCAPE! Perhaps you can attend the training in your finest henchman attire. And be ready for anything. Things may get a little… dicey. – The game In total will take around 60 minutes to complete – you may need to wait for your time slot. They’ll be a free drink on arrival and bar area to hang out in with live leader board. – They’ll be music, indoor and outdoor games as well as a cash bar, plus drinks from Double Dutch Drinks. – At least one of your team will need a fully charged smart phone with the Yelp App for parts of the evening. If you don’t have it, make sure to download it now. This entry was posted in Festivals & Events and tagged Event, Giveaway, Tickets, VIP, Win. ← Day SIX: The 24 Hour Bar Build!